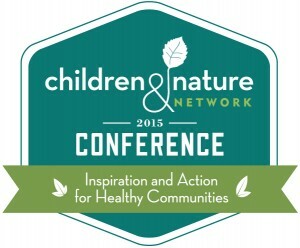 I’m excited to be part of this week’s Children and Nature Network Conference (C&NN) from April 7-9, 2015, at the Hyatt Lost Pines. This conference brings together worldwide leaders to learn about what visionaries, policy makers, scientists, naturalists, and technology enthusiasts are doing to promote nature and nature-rich communities for children and families. There’s no question technology is important to our everyday lives. Since I have dyslexia, I use technology on my iPhone, iPad, and Mac everyday to help me learn in high school, take pictures, research topics, enjoy entertainment, and keep up with current events. But it’s important not to lose our love of nature. There’s nothing that can replace exploring the animal and plant life in our streams and waterways, walking through the majestic Redwood forests, and seeing our beautiful Texas wildflowers. Kids need technology to help them be successful in their everyday lives, but we don’t want them to lose their love of and appreciation for the natural world. I’m part of the Kid Talk panel during the first day of the conference. During my “Adventures with Invasive Species” presentation, I’ll talk about how I battled with invasives by bringing together technology and nature through my blog commanderben.com and my YouTube channel. My blog posts and Battles with Invasive Species video series entertain and teach kids of all ages about nature by helping kids learn about and how to stop the spread of invasive species. As part of my presentation, I’ll also share my experiences in the digital world, as a citizen scientist with the Invaders of Texas Program, which is part of the Lady Bird Johnson Wildflower Center. I’ll also share my experiences in the physical world about bringing my Invasive Hunter Academy to nature events across Texas and to the US Botanic Garden in Washington DC. With the Invasive Hunter Academy, kids can learn about invasive species through visual means, actions moves, and physical crafts. With my dyslexia, I have a special fondness for the academy because it helps kids with different learning styles learn in different ways. Minecraft and Biophilic Design – Andy Kuhlken will talk about how biophilic design principles can be incorporated into Minecraft. He’ll also show examples of how nature can be involved while playing a computer game. Andy is an eighth grader at the Austin Montessori School. Who Is a Scientist? A Fifth Grader Finds a Voice Through iNaturalist – Sahil Shah will talk about his eight-week ecology-based service learning project, where his interests led him to iNaturalist and how he realized the value of his own voice. Sahil is now a sixth grader at Canyon Vista Middle School. These are going to be great presentations! Creating biomes in Minecraft is a lot of fun and a great way to learn about ecosystems. iNaturalist let’s you record what you see in nature, meet other naturalists, and learn about the natural world around you. Richard Louv, Chairman Emeritus for the Children & Nature Network and author of many books, including the Last Child in the Woods, will talk about “The Case for Nature in a Virtual World”. Mr. Louv coined the term “Nature-Deficit Disorder”! Gil (Guillermo) Penalosa, Founder and Board Chair of 8-80 Cities, will talk about “The Nature-Rich City: Creating Vibrant & Healthy Communities for All”. Laura Turner Seydel, Chairperson of the Captain Planet Foundation, will talk as part of the “Increasing Nature Connections for Children: A Funder’s Perspective” panel. Ms. Seydel is also a co-founder of the Chattahoochee Riverkeeper. Dr. Scott D. Sampson, Vice President of Research & Collections and Chief Curator of the Denver Museum of Nature and Science, will talk as part of the “Successful Nature-Connection Projects—’Getting Past the Grown-Ups'” panel. Dr. Sampson is also an author of many books. Melina Gerosa Bellows, Chief Education Officer for the National Geographic Society, will talk about “Raising Tomorrow’s Explorers”. Ms. Bellows is also a best-selling author of children and adult outdoor adventure books. Thanks to Mr. Trevor Hance, Outdoor Learning Specialist with Laurel Mountain Elementary; Mrs. Heather Kuhlken, Founder and Director of Austin Families in Nature; Ms. Addie Broussard, Natural science educator with the Westcave Outdoor Discovery Center; and all the conference organizers for inviting me to be part of this fantastic event. Hope to talk with you more at tomorrow’s conference!